No fidget moment until you get this magic fidget cube toy! Hand shank design offers 9 sides to fidget with. Surely there will be one or several sides that can give you mind and finger pleasure thus curing your stress, anxiety and boredom. 9 sides: Newest fidget dice to keeps minds and fingers occupied with nine sides including gear / rotating disk / button / plectrum / joystick / switch / finger massage / worry stone / key chain. Great healing toy: Wonderful toy for those who struggle with ADD, ADHD, OCD, anxiety disorder, autism or high levels of stress in life. 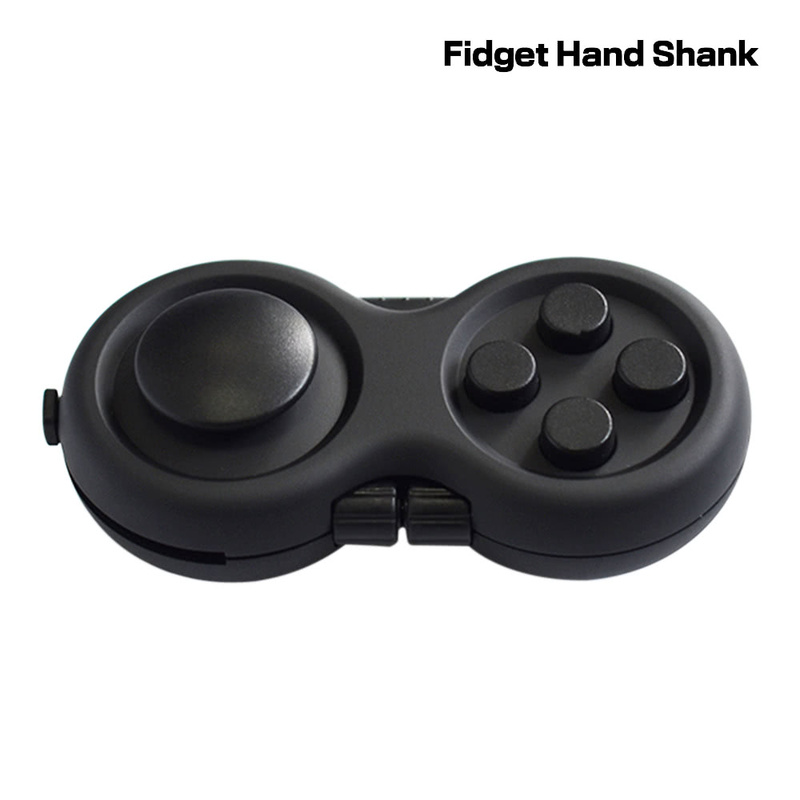 Fidget hand shank: Specifically designed for people who are suffering from fidgety hands. Whether you&apos;re a clicker, a flicker, a roller or a spinner, you can always get what you want. Easy to get fun: You don&apos;t have to be a gamer to enjoy this hand shank, just click, switch, massage, etc. to get endless fun. Great for both children and adults! Perfect mini size: Mini enough to put into your pocket so that you can take it anywhere and have fun anytime.